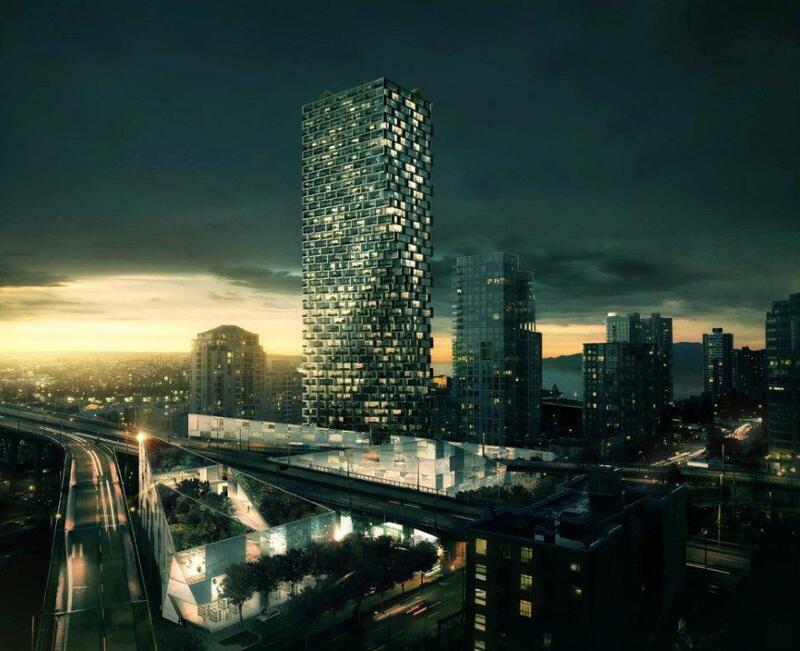 “We have brought together the best talent available in Vancouver and Europe to create a truly world class project that will enrich not only the particular neighborhood, but also the city and its quest to become creative, sustainable and affordable city. 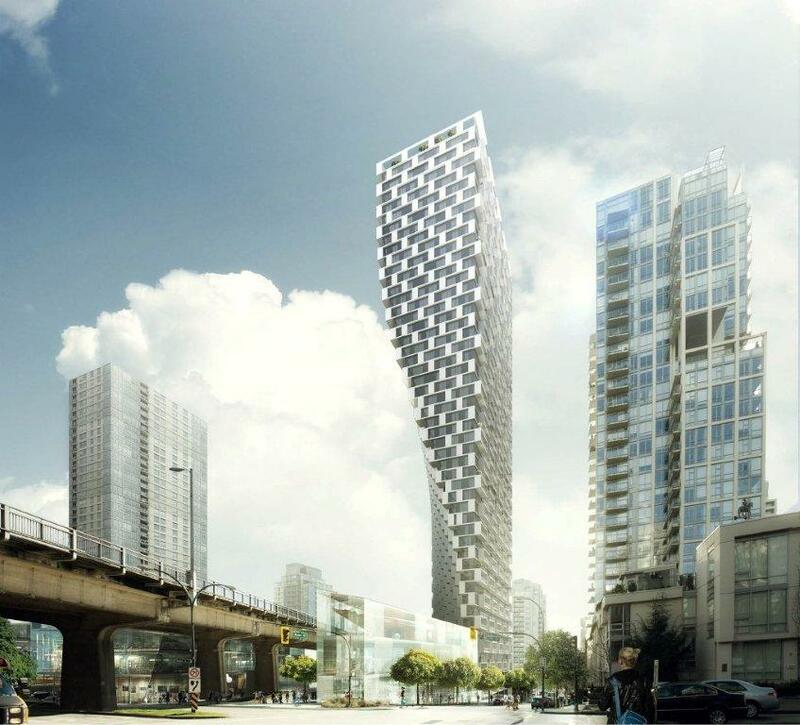 Architecturally, the Beach and Howe tower will introduce a new building typology to the Vancouver skyline and will create a dramatic gateway to downtown Vancouver that speaks to the emerging creative economy in the city”, Ian Gillespie, President, Westbank. The tower takes its shape after the site’s complex urban conditions aiming to optimize the conditions for its future inhabitants in the air as well as on the street level. 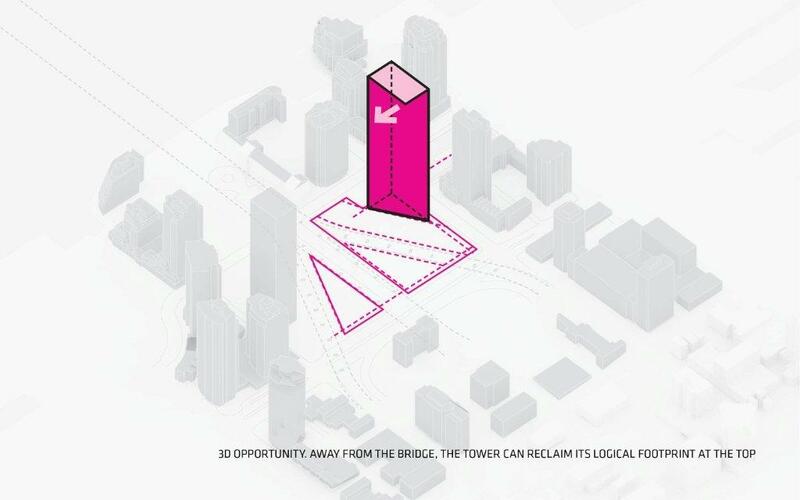 At its base, the footprint of the tower is conditioned by concerns for two significant neighboring elements, including a 30-meter setback from the Granville bridge which ensures that no residents will have windows and balconies in the middle of heavy traffic as well as concerns for sunlight to an adjacent park which limits how far south the building can be constructed. As a result the footprint is restricted to a small triangle. 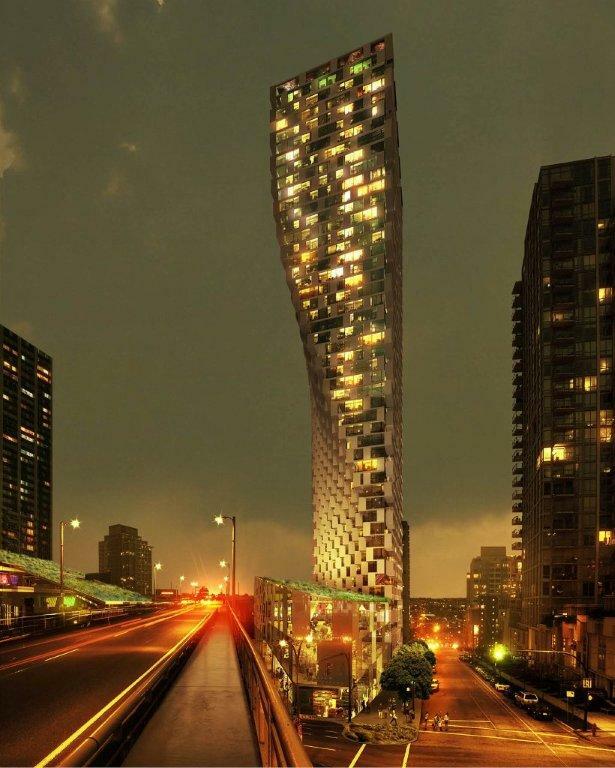 “The Beach and Howe tower is a contemporary descendant of the Flatiron Building in New York City – reclaiming the lost spaces for living as the tower escapes the noise and traffic at its base. 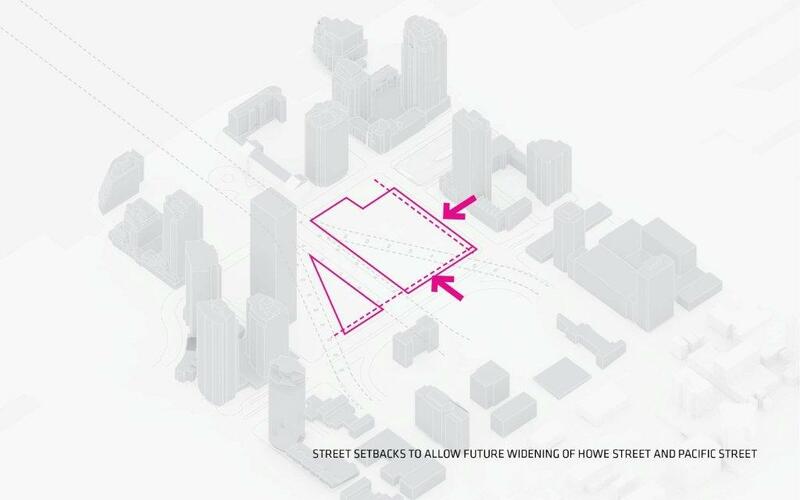 In the tradition of Flatiron, Beach and Howe’s architecture is not the result of formal excess or architectural idiosyncrasies, but rather a child of its circumstances: the trisected site and the concerns for neighboring buildings and park spaces.” Bjarke Ingels, Founding Partner, BIG. “The tower and base are a reinvention of the local typology, known as “Vancouverism.” In this typology, slender towers are grouped with mixed-use podiums and street walls that define human-scale urban environments. 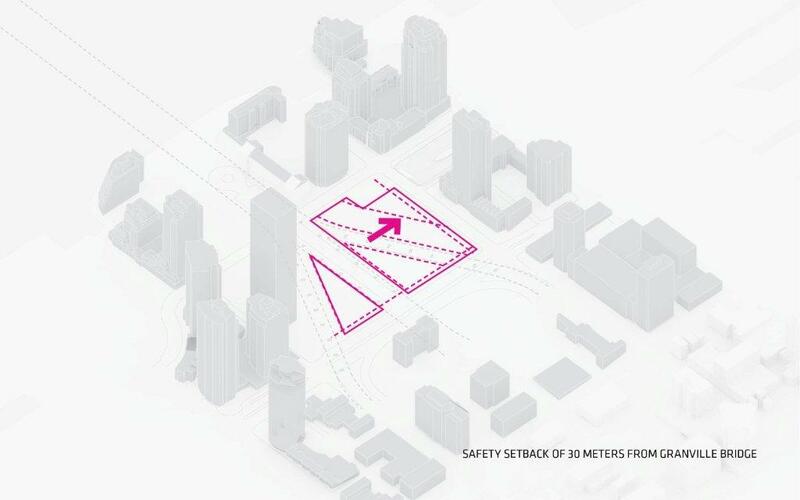 The aim is to preserve view cones through the city while activating the pedestrian street,” Thomas Christoffersen, Partner-in-Charge, BIG. 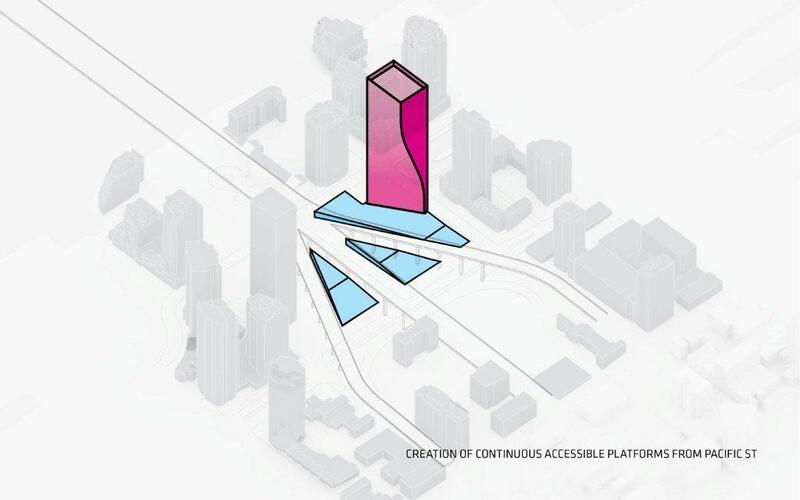 The tower’s podium is a mixed-use urban village with three triangular blocks that are composed of intimately-scaled spaces for working, shopping, and leisure which face onto public plazas and pathways. 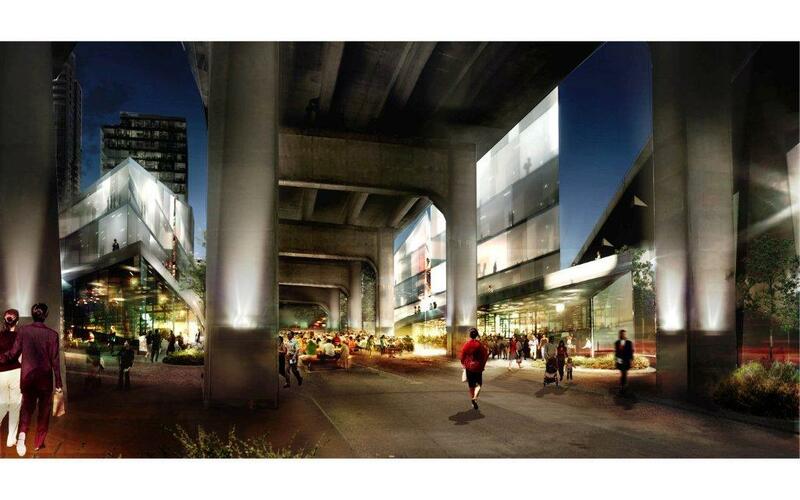 The additional public space adds to the existing streets, giving the neighborhood a variety of open and covered outdoor spaces of various scales which transform the site under the Granville Bridge into a dynamic and iconic mixed-use neighborhood hub. 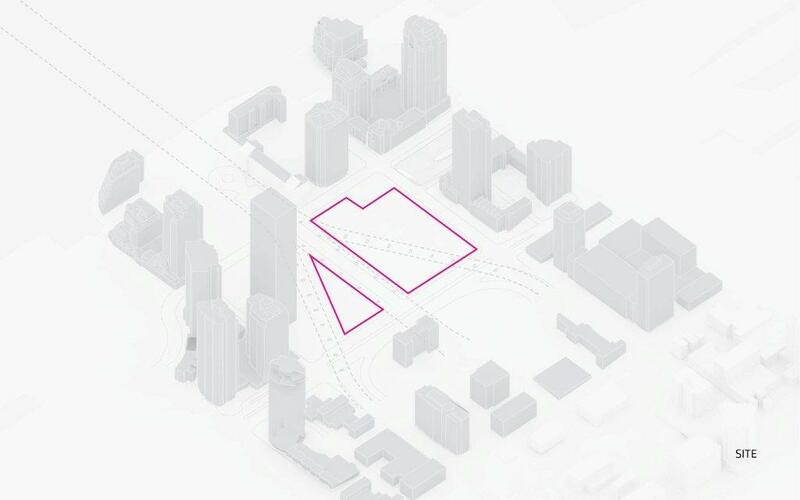 “Vancouver has already embarked upon an urban experiment in creating a super dense residential downtown – to increase pedestrian activity and street life. 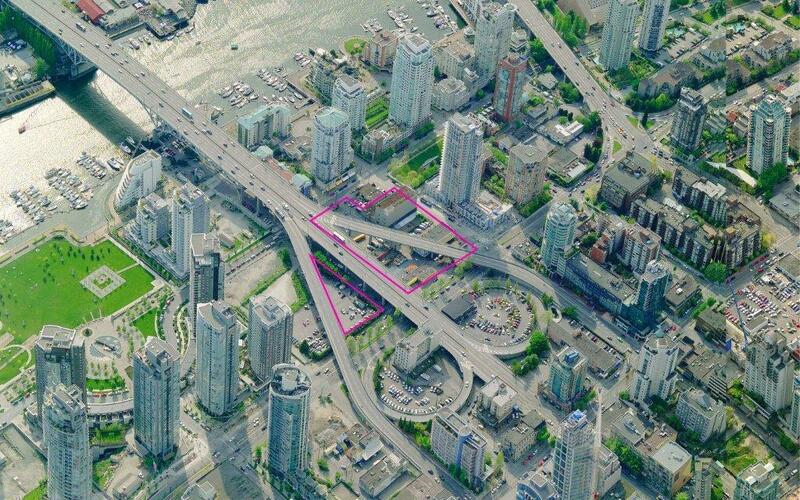 With this project we attempt to continue this process of densification by reclaiming a site beneath the bridges that would otherwise be lost as a lifeless “black hole” in the urban fabric. 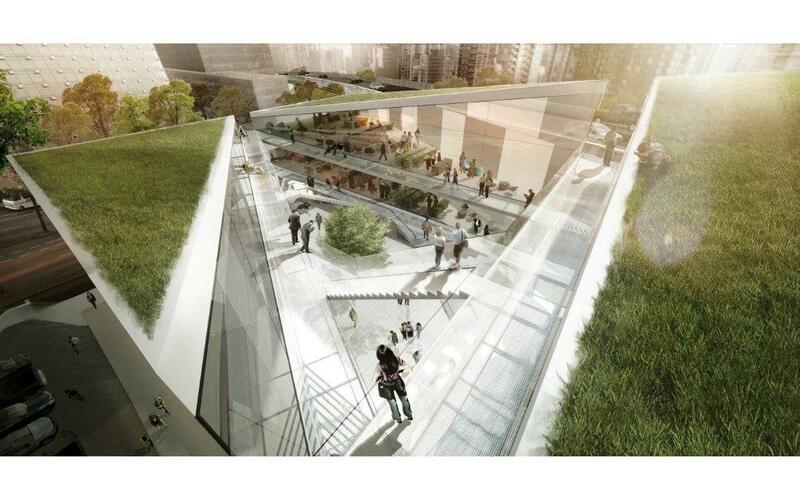 The diagonal canopies of the vehicular flows above create a new form of weather protected urban space, turning the large infrastructure in to a niche for social life.” Bjarke Ingels, Founding Partner, BIG. 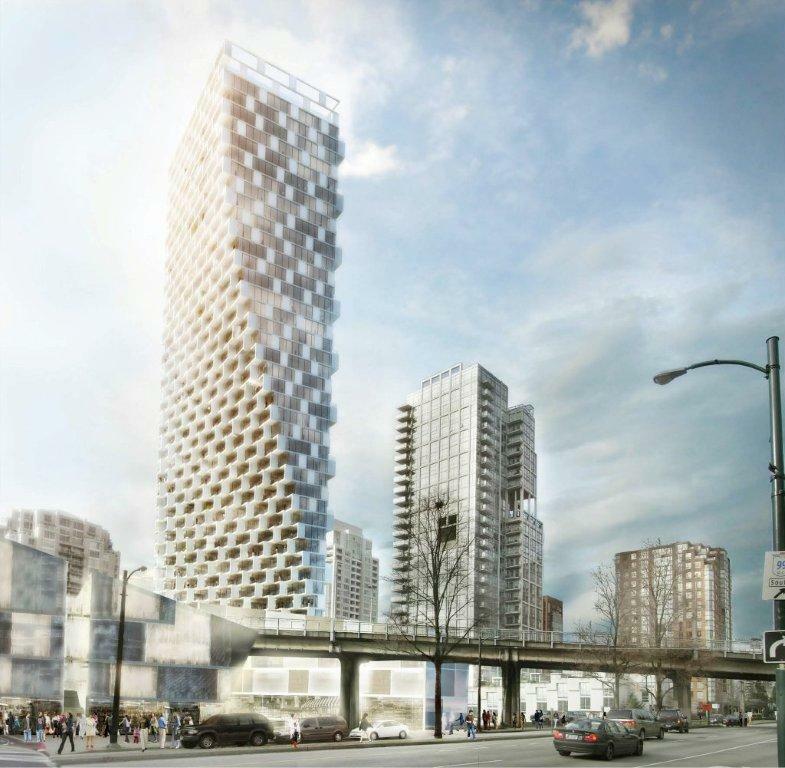 The courtyards created by the building volumes, roofs and terraces are all designed to enhance views from the Granville Bridge and the residential units above. 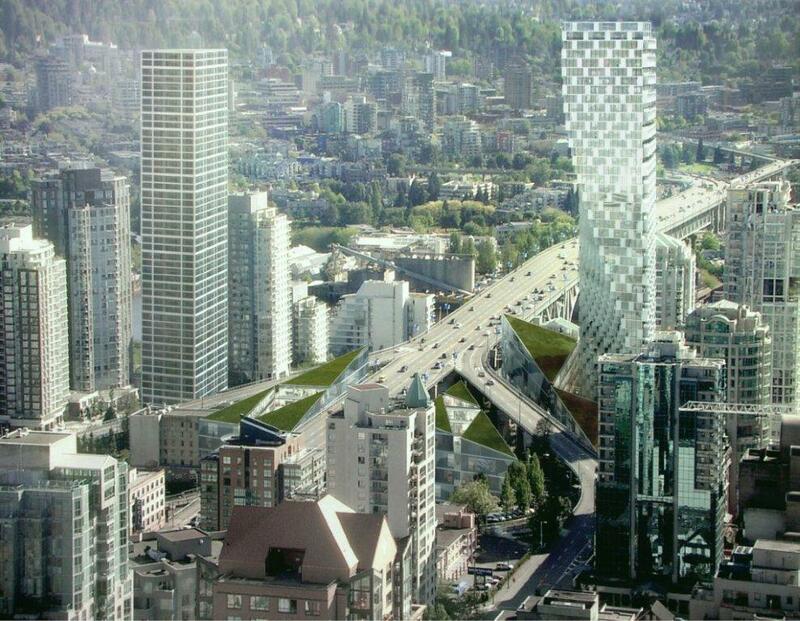 The canted, triangular clusters of green roofs create a highly graphic and iconic gateway to and from the downtown core, reinforcing the City of Vancouver’s focus on sustainable cities. 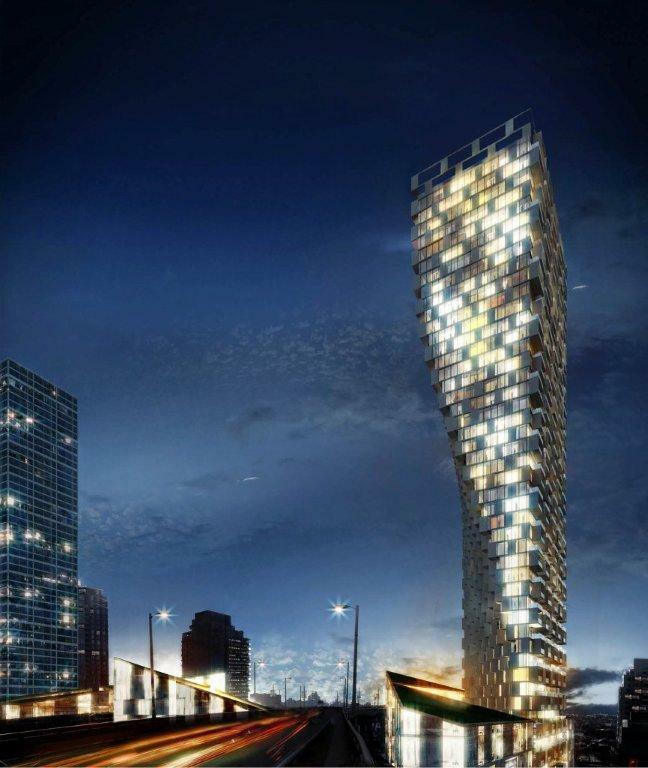 The exterior fa�ades respond to the various solar exposures which is integral to the overall sustainability concept. 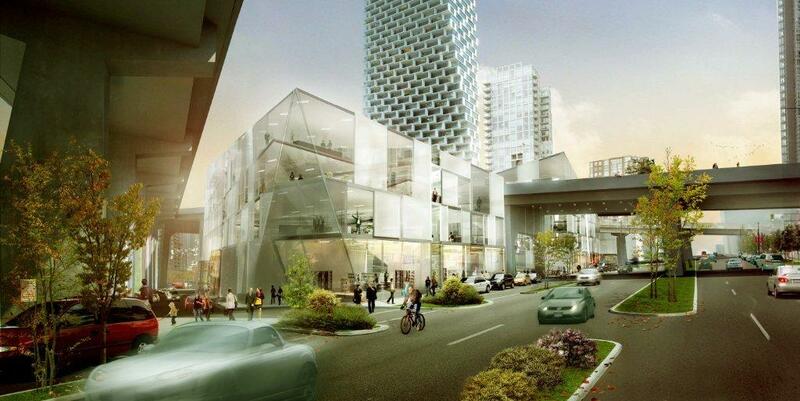 The building will strive for LEED Gold Certification.